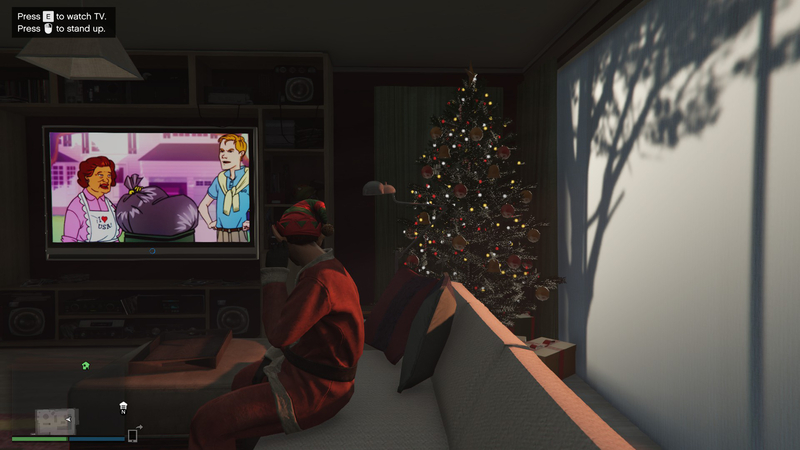 Grand Theft Auto V Christmas (Click to enlarge). Happy Holidays and Merry Christmas 2012. Also Stalk Father Christmas Around on Google Maps. Best Christmas Related Video Game – Canis Canem Edit a.k.a. Bully (PS2/Xbox 360). Aperture Sciences Christmas Security Video Shows Hidden Portal 2 Secrets.